Marcellino Pasta e Vino is a bistro restaurant offering Italian cuisine. Note that although GoMadrid.com strives to maintain all information about Marcellino Pasta e Vino up to date, the prices mentioned are only an indication and may not reflect the exact value of your meal. Marcellino Pasta e Vino offers a little slice of Italy in Plaza de Castilla in Madrid. The restaurant, whose speciality is homemade pasta made with flour imported from Italy, also has a shop and offers diners original and creative Italian cuisine. It has a set menu at lunchtime, which can also be prepared as a take-away, a children's menu as well as a la carte and tasting options during the evening. Its long menu includes fresh porcini ravioli with butter, parmesan and thyme, tagliatelles and lasagne. 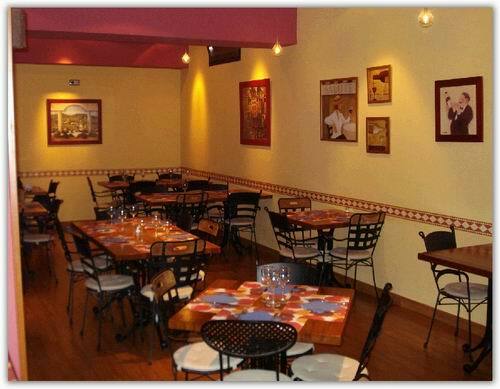 The address of the Marcellino Pasta e Vino restaurant is: Calle Félix Boix, 8, 28036 Madrid. The nearest Metro station is Plaza de Castilla. Please see the Marcellino Pasta e Vino restaurant location map below.